This owner managed African farm is over 2000 hectares and is part of the world’s 17 “hotspots”. With 3 overlapping flower zones, De Zeekoe is well-known for the meerkat magic conservation project and visitors can take a walk with wild meerkats on the farm with meerkat expert, Grant Mcilrath. A warm welcome awaits you upon arrival at De Zeekoe. Being keen hikers, travellers, 4×4 enthusiasts, nature lovers and mountain bikers, owner Paula and her staff will be happy to assist you in the planning of your itinerary. De Zeekoe’s name originates from the Dutch name for the farm; Zeekoegat, which means a waterhole for hippo. 200 years ago a researcher found a hippo tooth approximately 100 metres from our riverbank. We have a wide and varied selection of accommodation to suit all guests’ needs, ranging from superior suites with outdoor showers to rustic waterfront cabins. Close to the main homestead are our superior suites, all with large bedrooms, full en-suite bathrooms and open-air showers. Magical views over the Olifants riverbed and Outeniqua mountains. Persian carpets, ceiling fan, TV, tea & coffee making facilities, minibar, air-conditioning (heating & cooling), hair dryer, towling gowns. View over the garden & Swartberg Mountains. The old colonial homestead is more than 150 years old and is restored to its historic spendour. 11 stylish suites open onto cool verandahs set in a lush indigenous garden with spectacular views over the Outeniqua-, Swartberg mountains and the Olifants Riverbed. Each suite is tastefully styled with warm colours, soft textures and a personal touch. Secure parking is found on site at the main house. All rooms have the following: Persian carpets, ceiling fan, TV, tea & coffee making facilities, minibar, air-conditioning (heating & cooling), hairdryer and towelling gowns. Full en-suite bathroom, balcony, and view over the poolside, Olifants river bed and Outeniqua mountain range. Full en-suite bathroom, balcony, and views over the garden and Swartberg mountain range. Open plan bathroom, balcony and views over the garden and Swartberg mountain range. En-suite bathroom (shower only) and views over the garden and Swartberg mountain range. En-suite bathroom (shower only) and beautiful views over the Outeniqua mountain range. Only 5 mins drive from the main house, you will find our 4 unique waterfront cabins. They are built from alien poplar wood that we removed to make way for endemic brush and offer breathtaking views over the lake with abundant birdlife with 162 recorded species and is a malaria free area. Canoeing and fishing at the lake is ideal for families and to enjoy the scenery and nature around you. Each of the 4 rustic cabins is equipped with 2 bedrooms, (interleading ceiling), bath with shower, lounge, kitchenette and a large fireplace and deck. Fish Eagle: One double and 1 twin room. 1 bathroom (shower only), kitchenette, fireplace and large wooden deck with magnificent views over De Zeekoe lake and the Swartberg mountain range. Egyptian Goose: One king and 1 twin room. 1 bathroom (shower only), kitchenette, fireplace and large wooden deck with magnificent views over De Zeekoe lake and the Swartberg mountain range. Plover: One king and 1 twin room. 1 bathroom (shower only), kitchenette, fireplace and large wooden deck with magnificent views over De Zeekoe lake and the Swartberg mountain range. Guinea Fowl : 2 twin rooms. 1 bathroom (shower only), kitchenette, fireplace and large wooden deck with magnificent views over De Zeekoe lake and the Swartberg mountain range. De Zeekoe offers a ‘first in the world’ unique experience to walk with wild meerkats. Explore our scenic farm grounds and blue wonders of the unspoilt Karoo, vast horizons by mountain bike, or by foot. We held our first half marathon in Jan 2008, and plan to do this annually. 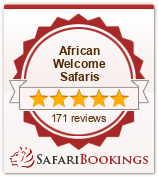 Birding, canoeing, fishing, stargazing in unpolluted African night skies. De Zeekoe has something for everyone, from adventure to those seeking a quiet getaway. Inventive and delicious, traditional cooking with a Karoo twist. Complement your evening meal with wines from our very own cellar. Why not ask our kitchen to provide a picnic basket, so you can enjoy fresh and healthy food as you discover all that the area has to offer?